In 2009, a large number of new initiatives, to internationally showcase the Dutch Game Industry, will be launched, starting with a Holland Pavilion at the Game Development Conference (GDC) in San Francisco. Not only are the Dutch responsible for creating games but research shows that Dutch people are also hooked on all kinds of games: combined the Dutch people spend 48 million hours a week on several different game genres. The growth of the games industry in the Netherlands is enormous, growing 50% faster than any other industry in Holland. Approximately, 250 organizations and 2,500 individuals are involved in the Dutch gaming industry. These include, but are not limited, to suppliers, educational centers, researchers, specialized media, event organizers and game developers. Dutch companies are involved in the development and production of video games globally. Games tied to marketing campaigns are a relatively new development in the Netherlands. Nivea, for example, introduced an advergame in the Netherlands to celebrate its 60th anniversary. Advergames attract users and provide an appealing platform to promote a brand. Ingame advertising is an upcoming market, due to the shift in media choices. 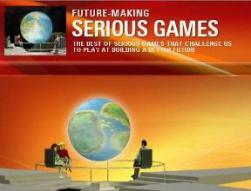 Serious Games development in The Netherlands is the most profitable gaming segment in The Netherlands. Over the coming 3 years Dutch Game Developers will cross borders, to explore the West Coast of the United States for new business opportunities. BGIn is an independent non‐profit organization committed to the development of a stable and vibrant Benelux video games industry. BGIn provides a key interactive platform for collaboration, education and discussion with developers, partners and the public. SAGANET (Simulation And Gaming Association The Netherlands) is a meeting point for scientists and practitioners developing and using simulation, gaming and related methodologies. SAGANET co‐operates with the international organization ISAGA. 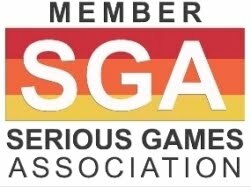 The Dutch Game Association (DGA) was founded in October 2008. It represents the gaming sector in conjunction with other Dutch sectors, as well as the international market, national and international government institutions. DGA is a platform that supports cooperation regarding innovation, sharing knowledge, and facilitates export opportunities for the Dutch gaming industry.